Hi Lovelies! I hope you're all enjoying the wonderful sunshine this weekend, this heatwave seems to be lasting forever! I popped a photo up on my Instagram last week of a tiny corner of my make-up collection, and one of my lovely followers asked if I could write a post about my false eyelashes as she was considering getting some, so here it is! I'm always open to suggestions, so if there's anything you want to see on my blog then just let me know and I'll get to work! 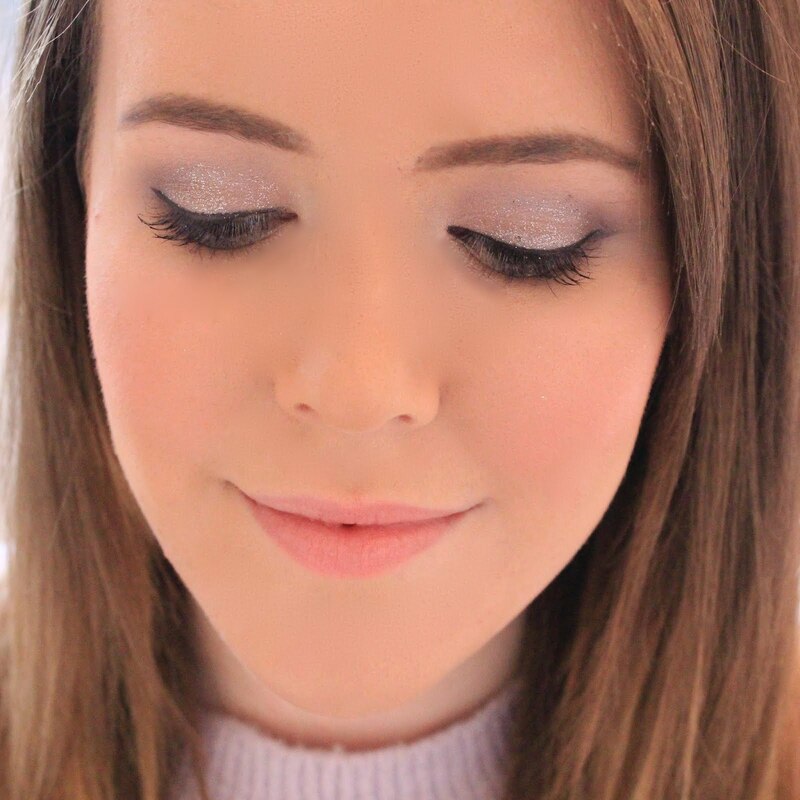 I only ever wear false lashes on a night out or if I have somewhere special to go because its just a bit of a hassle for every-day wear, but on a night out I can't live without them. I became addicted to wearing false lashes on nights out after a trip to the Tokyo Lash Bar by Shu Uemura. My Mum kindly treated me (and herself) by taking me there last New Year's eve while we were in the Trafford Centre and I fell in love. We got to choose and customize our lashes then the lovely people who worked there taught us how to apply them properly and did our make up for us. I still have my lashes from there but they're not in a very good state any more because I wore them to death and I didn't really want to photograph some disgusting looking lashes! Part of the reason why this little trip got me addicted was because I finally knew how to apply them properly, before I never used to bother because putting them on was a bit tricky but once I had been shown how to do it, I was officially addicted. I tend to go for more natural looking eyelashes because I find that the bigger lashes always look that little bit fake and I don't want people to know i'm wearing them. That's why the Naturalite lashes from Eyelure are my all time favorites. They have a super thin band on them which means you really can't tell that they aren't your own lashes and they blend in with my own lashes perfectly. I just pop a but of mascara on them and I've got fuller looking eyelashes but nobody can tell that they aren't mine. I own the Natural Volume lashes which I use when I'm using lighter or golden eye make up and the Super Full lashes which look great with a smokey eye because I think bigger eye-lashes compliment that kind of look perfectly. These lashes were about £5 which I think is an okay price as the MAC ones are priced at £10 and Eyelure have some good dupes. The next picture is a set of 10 that I got from Banggood, a Chinese website for about £2. £2 for 10 pairs of false lashes may sound amazing but they do have their drawbacks. I picked these ones because they looked quite natural and fluttery on the website, and they do look like that in real life too, but they are so hard to apply! Last time I used them they wouldn't stick properly and the corners kept coming loose, which is a problem I've never had before. But if your looking for a set of cheap lashes, they do look good once you've managed to get them on. I personally prefer to spend a bit more and get Eyelure lashes because I find that the band sits on my eye better and they are just easier to work with if your not an expert. Lastly, I've got these lashes from Kiss in Flirt. I got these in my LDN Bloggers Party goodie bag and I've only worn them once. I think they're a bit too full looking for me as I prefer them to look more like my own lashes. Saying that, they are easy to put on and do stay put once they're on, so if you want a fuller, bigger look then these would be perfect for you. As I said before, this isn't my whole eyelash collection but these are the ones which are in a good enough condition to show you. Most of the other ones which I love are Eyelure lashes so if your looking for a good false eye-lash brand I really would recommend that you check out Eyelure. I'm completely the same with the 2 lashes I have. They are more natural and not too wild ;) Think I need to get my hands in some Eyelure ones, they look beautiful. Do you know where they'are available online? I loose mine so easy, and they're not all that cheap are they. I love how big they make my eyes look though. I've got those same ones from eBay and I completely agree, it takes so much time to apply because the ends don't follow the curve of my eye properly. One thing I'd say to help is flex them like a horse shoe in your fingers to mold them into a better shape, but even then it takes forever because they are so stiff! My favourite lashes are the Eyelure 107's, they really work well with a cat flick because of the longer outside lashes! Is it weird that I never wear false lashes? I got the kiss & flirt lashes from LND Bloggers party goody bags as well! Still need to try them out! !